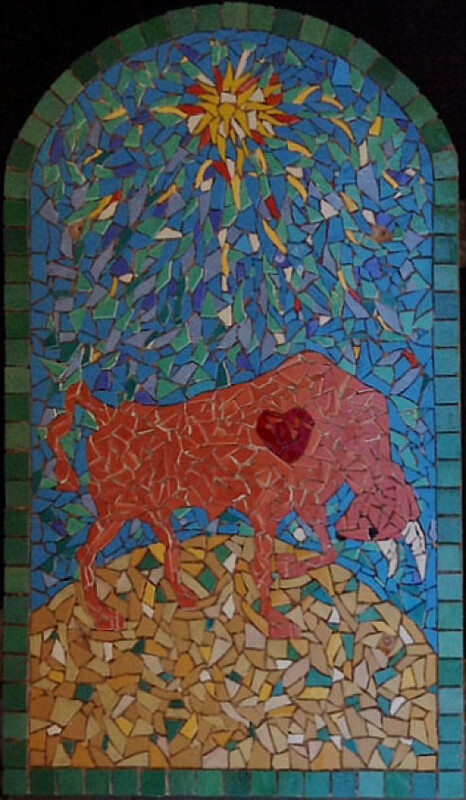 This Mexican tile mosaic shows us the beauty and creativity Mexican tile can bring when pieced together into this mosaic, created by artist Steve Rand. It measures 5' tall by 3' wide. If you want to contact Steve, you can e-mail him at steverand500@gmail.com or visit his website www.steverand.com.